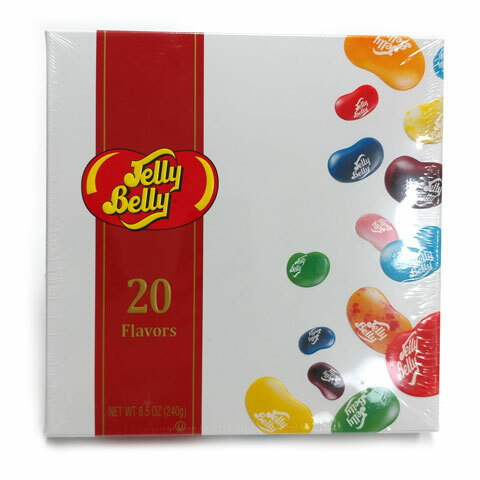 Jelly Belly 20 Flavor Gift Box. Assorted flavors like buttered popcorn, very cherry and more. Great present for candy fans. Gluten-free. 8.5 oz net weight. Approx. 8 inches wide.